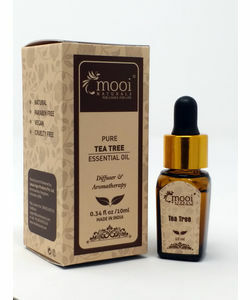 A special aromatherapy blend to prevent hair fall and promote hair growth.While the jojoba oil super moisturizes and nourishes the hair and scalp,the picky blend of the essential oils Rosemary,Lavender,Thyme,Clary Sage stimulates follicles with increasing the blood circulation,helping prevent hair from falling out, strengthens the roots and makes the locks grows longer,thicker and stronger. *How To Use: Apply it at night. Rub into the scalp lightly not too hard. In the morning use a light shampoo. For the best results use for at least four months. Use daily or as required. Shake well before use. Discontinue use in case of known allergy or irritation. 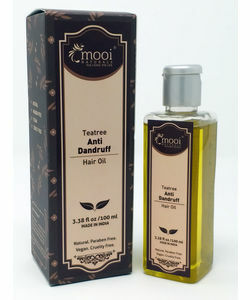 A special aromatherapy blend to prevent hair fall and promote hair growth.While the jojoba oil super moisturizes and nourishes the hair and scalp,the picky blend of the essential oils Rosemary,Lavender,Thyme,Clary Sage stimulates follicles with increasing the blood circulation,helping prevent hair from falling out, strengthens the roots and makes the locks grows longer,thicker and stronger. *Results may vary from person to person. *How To Use: Apply it at night. Rub into the scalp lightly not too hard. In the morning use a light shampoo. For the best results use for at least four months. Use daily or as required. Shake well before use. Discontinue use in case of known allergy or irritation. Disclaimer : Always recommend to do a patch test for compatibility prior to using any new products. All of Mooi Naturals products are vegan and cruelty free and do not contain either synthetic ingredients or ingredients of animal origin. Rosmarinus Officinalis (Rosemary) Essential Oil Rosemary prevents baldness, slows graying, and can be used to treat dandruff and dry scalp.Gets a shinier, healthier hair,and helps in rapid hair growth when used periodically.As an anti-inflammatory, stimulant, and antioxidant, Rosemary can enhance the overall health of your scalp for a healthy,strong and beautiful. 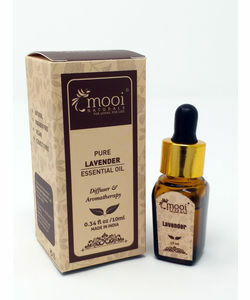 Lavandula Angustofolia (Lavender)Essential Oil Lavender Essential Oil has also been shown to be very helpful in the treatment of hair loss.The oil controls hair fall and increases hair growth on regular application of the diluted oil on scalp. Thymus Vulgaris (Thyme) Essential Oil Thyme promotes the delivery of nutrients for the entire scalp,assist with dandruff issues,help keep their hair thick and lustrous and supports hair development. Salvia Sclarea (Clary Sage) Essential Oil The phytoestrogen content of Clary sage Essential Oil contributes to hair growth,particularly useful in preventing or reversing premature balding.When applied to the scalp, Clary sage oil regulates oil production and controls dandruff. Great Skin and Scalp Moisturizer.